What is the Institute of Australian Tour Guides? As tourism becomes increasingly important to Australia’s economy and to our nation’s sense of identity, the necessity of having knowledgeable, expert tour guides becomes crucial to its success. 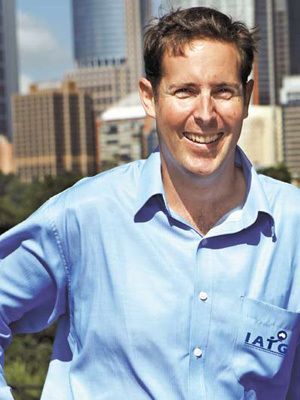 To assist Australian tour guides achieve the highest professional standards, the Institute of Australian Tour Guides (IATG) was established in 1993. Its primary aim is to advocate on behalf of all the members on issues related to the industry. In achieving this IATG promotes the recruitment and training of guides, establishment of industry benchmarks and representation of tour guides at the highest level. Nationally, IATG is a member of the Australian Tourism Export Council (ATEC) and internationally, a member of World Federation of Tourist Guide Associations (WFTGA). To provide a professional, quality Australian Tour Guiding organisation for the mutual benefit of members, tourists and the tourism industry – enriching the total experience. To offer professional tour guides an accreditation system and ongoing opportunities for quality education, employment, professional development and tourism industry news and forums – in order to improve the quality of national tour guiding services to the benefit of visitors to Australia and to tourism in general. Promotes and maintains the highest standards of competence, integrity and professional conduct of its members. Arranges familiarisations, educational lectures and workshops for members to facilitate their professional development. Promotes adherence to a code of practice, liaises with tourism industry participants and industry associations on matters of common concern. Informs its members of changes and other matters of importance in the tourism industry through distribution of regular newsletters and other communications. The national bi-centenary celebrations of 1988 were a catalyst for a raising of the Australian consciousness, and the desire to share the vision of our Australian continent with visitors to our shores. Despite the enthusiasm of the tourism industry however, there was concern among inbound tourism operators about the overall quality of tour guides available to our international guests. An accreditation scheme to register guides was established, but this in itself was insufficient. Many highly experienced, professional tour guides were members of IATM, the International Association of Tour Managers. They believed that tour guides were different from tour managers and needed serious in-depth knowledge of their country’s attractions and tour operations. It followed that tour guides would benefit from an association of their own, like IATM, to help raise and monitor standards and assist members to improve. It needed an Institute of Australian Tour Guides. Officially launched at the Art Gallery of NSW on 20 July, 1994, IATG is based in Sydney but, in keeping with the steering committee’s recommendations, has a national voice. Membership has grown steadily and IATG now has members Australia-wide. The organisation has been included in discussions at Tourism Training Australia (the industry training advisory body for the tourism Industry), to develop competency standards and establish practical guide courses. Its success is reflected in the number of tourism operators who increasingly choose to engage IATG members to handle their assignments, recognising the high standards we set ourselves. Tour guides are now recognised by tourism operators and by tourists as an essential component in their travel to Australia. IATG is dedicated to ensuring this continues and flourishes.